its ironic because it is quite small lol. 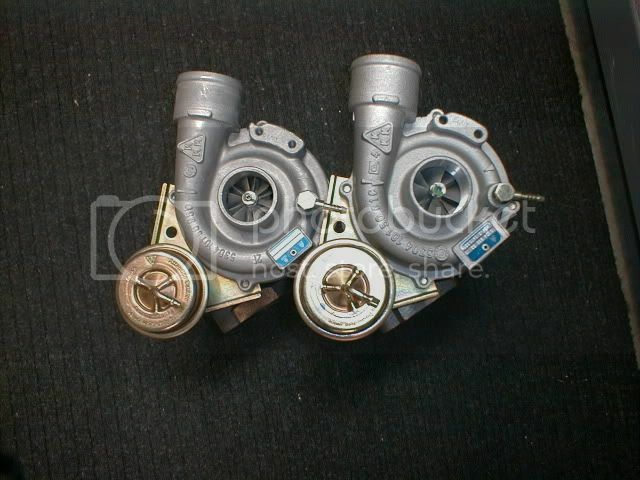 obviously bigger than the k04 but small in comparison to the other common turbos like the gt30 series. hmm perhaps you're right. Based on the pics, it's hard to judge size without something to compare it too other than his thumb and the exhaust turbine which I discovered was tiny as hell on the k04 when I did my dp swap. 1)Is using the aftermarket braided hose more than a suggestion or convenience or is it flat out necessary. If it makes the install easier, then I would say it's worth doing for sure. Last edited by mczimer; 10-21-2012 at 12:32 PM. New turbo is installed! Everything appears to be good, now waiting on the 3 bar MAP sensor w/harness adapter and the GrimmSpeed 3-port EBCS to get here on Thursday. I'll need to have the car retuned of course too. "I would happily admit to anybody that the Mazdaspeed6 should come with a warning label..."
How did the install go? Straight-forward? I am hoping to get an S3 and install it in the spring, but I'm in Canada.. so that complicates things a bit with the border, core charge/return, etc. I'll talk to BNR about my options. Congrats on getting it in. You're not going to need that 3 bar if you don't have some alternate fueling plans. With out meth or e85 your kr limited on timing which can limit making power up top which is one of the key improvements with the BNR. I'm happy to help with the tune when you get into that. I'm really not worried about time. I have a 2nd car . I was just wondering if he hit any road blocks.... yeah, I can let you know and maybe you can help me out! I've always worked alone and took my time... so I would definitely not finish on the first day .